PenelopePoet.com has launched a social media sweepstakes to reward Twitter followers with an artisan crafted recycled glass bead bracelet from the Freedom Stones organization, a livelihood project that transforms and develops vulnerable communities in Ghana, West Africa and is dedicated to eliminating and preventing human trafficking – one twitter follower of @PenelopePoet will win an adjustable 7.5-8.5" bracelet designed with colorful glass beads and the signature Freedom Stones curl clasp which symbolizes a break in chains of poverty and injustice in West Africa. Penelope Poet, LLC, an online shopping destination for jewelry and gifts committed to social responsibility, today announced that PenelopePoet.com has launched a social media sweepstakes to reward Twitter followers with an artisan crafted recycled glass bead bracelet created as a livelihood project through Freedom Stones, a non-profit organization committed to eliminating and preventing human trafficking through projects that transform and develop vulnerable communities in Ghana, West Africa as well as Cambodia and Thailand. Penelope Poet is an online jewelry boutique whose mission is to offer unique jewelry and gifts while creating economic opportunities for women and families throughout the world. The online boutique offers shoppers a place to browse and purchase a selection of earrings, bracelets, necklaces and rings through a privately owned small business dedicated to giving back to the world by spreading positive economic opportunities for people in impoverished circumstances. Ms. Gouaux said Penelope Poet has been interested in finding a supplier who not only advocated for victims of human trafficking, but also had an innovative micro-lending strategy for vulnerable families and their children, taking the role of micro-finance one step further than small short term loans and raising the bar to include a new level of resources that empowers individuals through training and skills development. As an experienced online marketing professional, Ms. Gouaux designed the sweepstakes for distribution on Twitter to allow as many people as possible to engage in supporting socially responsible business practices and to bring awareness of PenelopePoet.com as a shopping destination for consumers who share a socially responsible mindset. 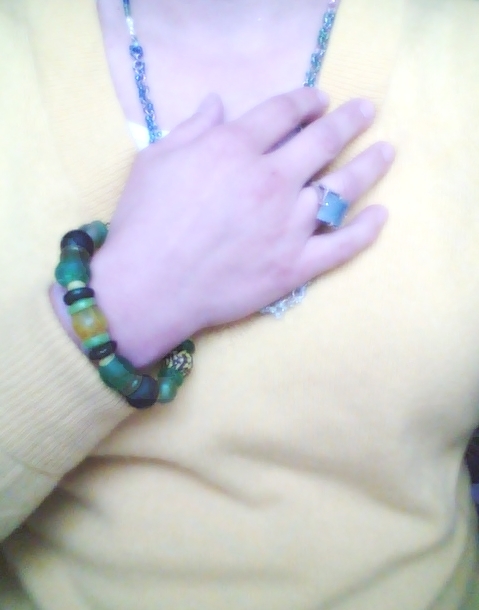 "RT 4 Chance 2 Win a #freedomstones bracelet. Follow @PenelopePoet Contest Rules: http://tinyurl.com/87rde58 #freefriday"
Penelope Poet is an online jewelry store rooted in positive connection and social responsibility. The business was founded by female entrepreneur, Joanne Gouaux in 2007, and is based in the San Francisco Bay Area. PenelopePoet.com is an online jewelry boutique specializing in earrings, bracelets, necklaces and rings while working to build economic opportunities for women worldwide by supporting artisans and organizations that share its values. 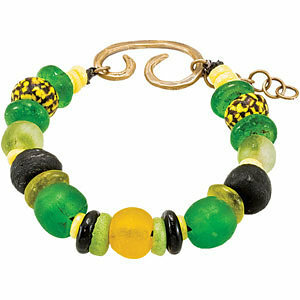 Freedom Stones BraceletEach bead is made of recycled glass, produced by in ovens of clay by skilled artisans in Ghana. The bracelet is an adjustable 7.5-8.5" in length with waxed cotton cord and comes with the signature Freedom Stones clasp in brass. 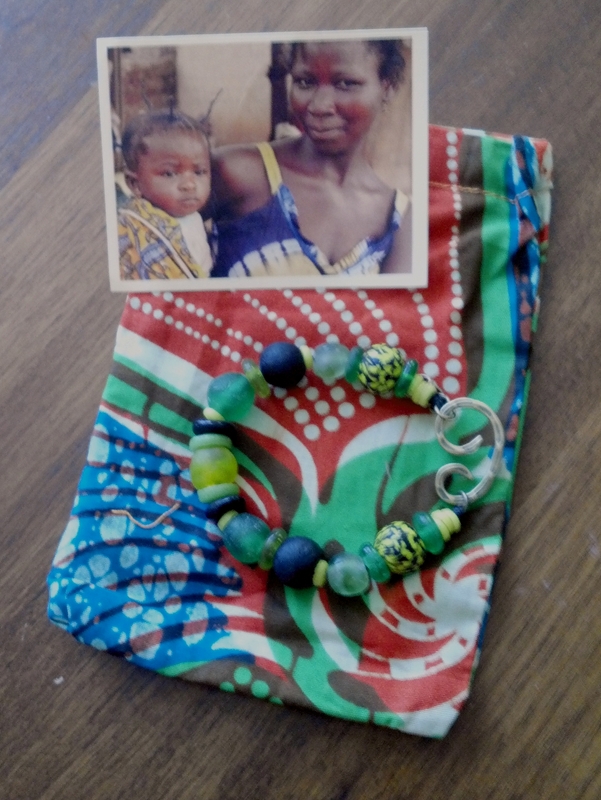 Handmade, recycled glass beads from Ghana, West Africa.Each bracelet produced from Freedom Stones Each bracelet was created by a survivor of human trafficking or an individual at risk of exploitation. Socially Responsible JewelryThe clasp of this bracelet symbolizes a broken link from the chain of poverty and injustice.